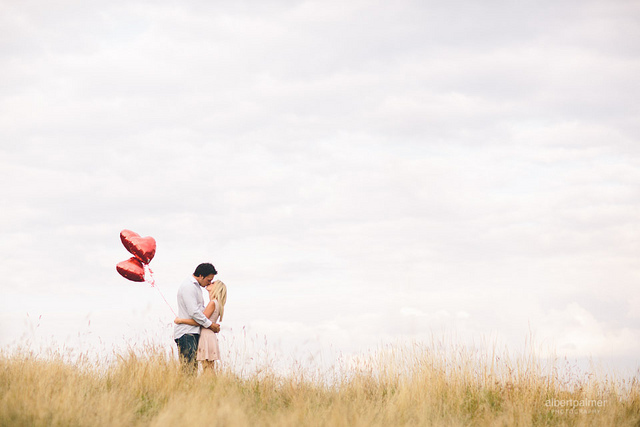 Engagement Photo Idea: Include Heart Balloons! Mother of the Bride, don’t you love how fun and creative engagement photos are today? Sure, the photographer may have your soon-to-be Mr. & Mrs. pose for a traditional shot or two, but the more creative shots capturing the personality of the couple or the depth of their love are the ones you’ll love the most. Pictured above is an engagement photo idea too cute not to pass along—heart balloons included in a shot where the couple is kissing. Isn’t this a super sweet photo? So much love expressed through the kiss as well as the hearts. What a fun shot filled with the promise of a lifetime of love. Romance and fun at the same time make this shot a winner, a real must-have photo to commemorate your little girl’s engagement. So why not show this heart balloon idea to your daughter, MOB, and see if she and her honey would like to include something similar in their engagement photo session. After all, their hearts are already soaring in love. They might as well picture it, right?! *You might also like to read Engagement Photos: Consider a Night Shoot, Engagement Photo Idea: Bike Fun!, Engagement Photo Idea: Playground Fun, and Engagement Photo Idea: Frame That Moment! Last year at this time, my husband Don was enduring a season of pain like he’d never known before. On November 15, 2014, he fell roof-high from a ladder and fractured his spine in eight places. He was laid up at home for almost two months before he could attempt a return to a modified work schedule. He needed pain medication on a regular basis for a while. It was rough. One day during December while I had a favorite Christmas cd playing and “Joy to the World” was wafting through the air, I went in to check on Don and he was crying. He was completely undone by the gift of our Savior. He said, “He could have come down from the cross. He could have come down. But he stayed. He suffered. 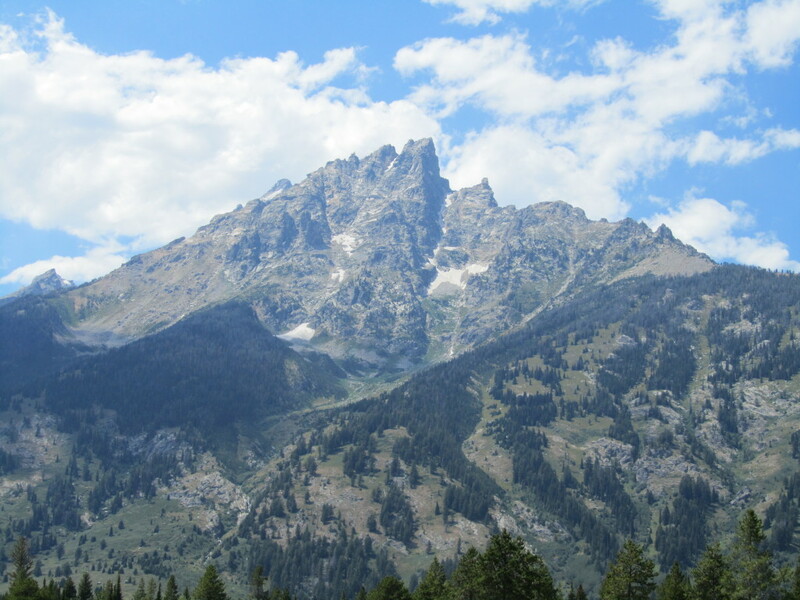 For me.” Because of the pain Don had been enduring, the fact that Jesus came to earth to die a painful death to pay for our sins took on a whole new level of meaning for him. Our “Joy to the World” came at a great cost. A cost Jesus was willing to pay. 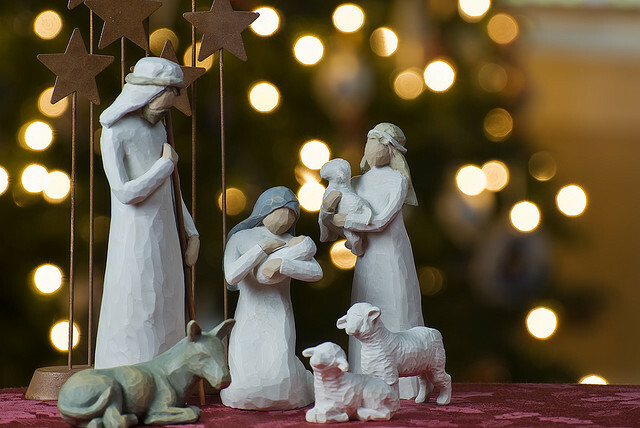 As we listen to and sing the carols of Christmas this year, let’s listen and sing as if it’s the first time we’ve heard or sung them. Let’s be touched afresh by them. Let’s come undone by the gift of our Savior. Why not start with “Joy to the World”? I’ll print the words below. Let’s glory in its message together today! “Joy to the world , the Lord is come! *Has a carol of Christmas ever taken on special meaning for you? Mothers of the Bride, for those of you who are crafters—or have friends who are crafters (yes! )—delight your daughter with a gorgeous bridal keepsake box like the one pictured above. I’m not a crafter at all, but thank goodness my good friend Teri is. She made the beauty above for my daughter Kristin when she was a bride-to-be. Think about what bridal-themed adornment might appeal to your daughter and cover the box accordingly. 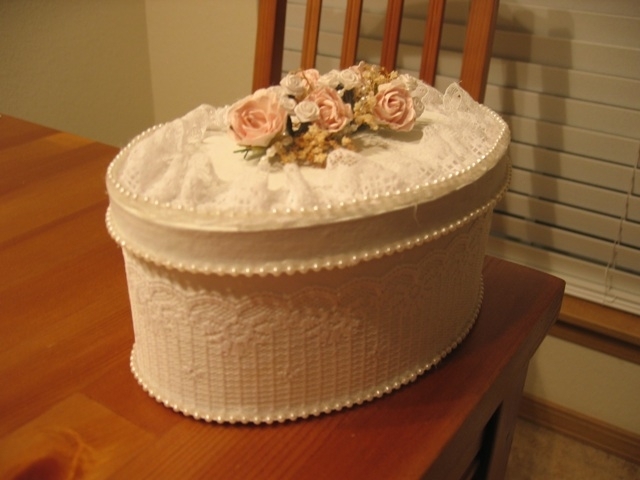 Teri and I chose a variety of lace, pearls, and pretty silk rosebuds for Kristin’s box. Teri then styled the box, using her trusty hot-glue gun as her right-hand man. So why not give it a try, MOB? It’s fairly simple to do (if you’re someone like Teri!) and can be used to store any number of wedding keepsakes. Teri included homemade garters in Kristin’s box. Take my word for it, whatever you do, your daughter will treasure it. *You might also like to read Knitted Bridal Bouquet and More , Sparkle Up the Bridal Garter, Turning the Ordinary into Keepsakes, and Wedding Decor: Craft It with Paper. I don’t feature recipes on my blog very often, but there’s something about autumn, something about the holidays, that makes me want to share yummy food with you. I always try to offer soul and spirit refreshment and nourishment here, and I think a recipe can fit the bill every now and then. I don’t know about you, but something yummy has a way of refreshing my spirit! Last autumn I shared my mom’s Old-Fashioned Dressing recipe, and this year I’d like to gift you with Mom’s Cranberry Salad recipe. It was a regular on Mom’s holiday turkey dinner menus. Mom has been gone for two years now, and we miss everything about her—including the delicious food she prepared for us all the time. So I’ll share this recipe today in honor of Mom. Hope you enjoy! Boil for 10 minutes with lid (not too hard of a boil). Pour in serving bowl and start it to set up in the fridge. Stir and then let it finish setting up. Keep refrigerated. God bless as you prepare for your family’s Thanksgiving and Christmas this year. May your celebrations include not only yummy food, but love, gratitude, and lots of great memories as well. Be refreshed this season, my friends! 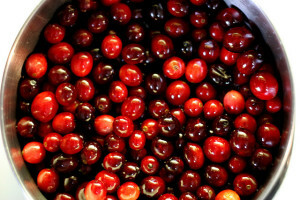 *What are some favorite items on your holiday menus?